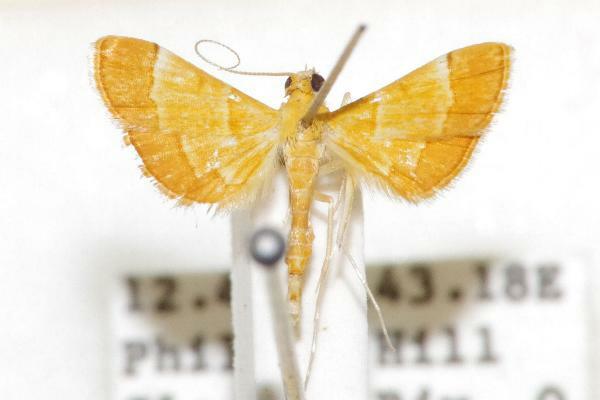 The adult moths of this species have three broad bands of shades of yellow on each wing. The wingspan is about 1.5 cms. Series 7, Volume 17 (1906), pp. 212-213, No. 3.